One of the country’s most promising long-jumpers is being sponsored through his winter training by Dorset’s Douch Family Funeral Directors. Patrick Sylla, 18, is currently fifth in the senior rankings and number one in the under 20 category. His longest jump is 7.61 metres (24.9ft) – a double decker bus is 31ft long – and he wants to become an Olympian. 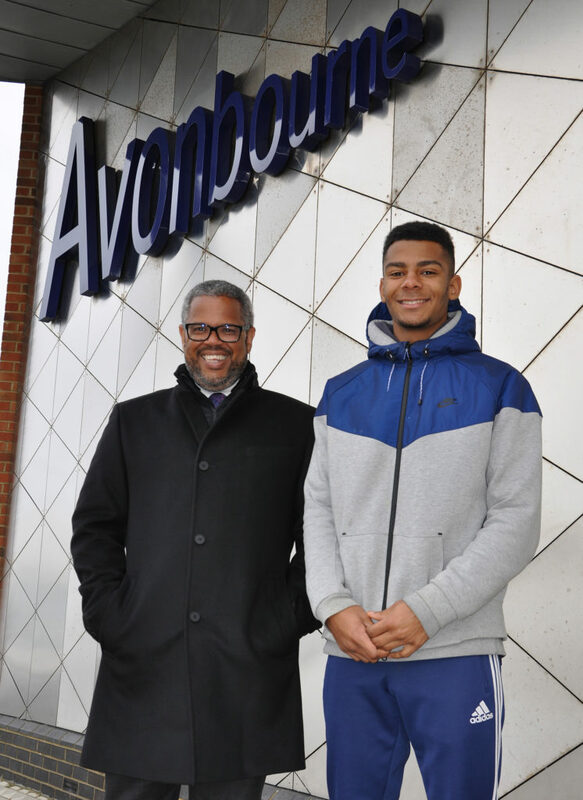 Currently he is studying for his ‘A’ Levels at Avonbourne Sixth Form in Bournemouth while working through a rigorous winter training schedule. Nick Douch (right) and Patrick Sylla. 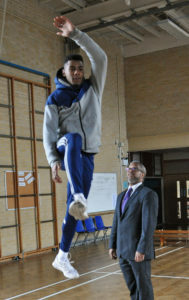 Dorset’s Douch Family Funeral Directors are sponsoring Patrick, 18, who is one of the country’s best long-jumpers. Nick Douch, MD of the funeral director group, hopes that Patrick will become an inspiration to other local aspiring athletes and sportspeople. He said: “Patrick is an astonishing athlete and has achieved so much already. “By supporting him with his winter training we hope we will play a small part in his success this year. “Patrick inspires a lot of other local youngsters and it’s great for the town to have a home-grown talent. Patrick, who is studying economics, PE and English literature, said: “I’m very grateful to Nick for the support. “Winter training is vital and the more professional I can be, the more success I will be able to achieve. Any local businesses who wish to support Patrick in any way, please contact Kathryn Loughnan at Avonbourne Trust.